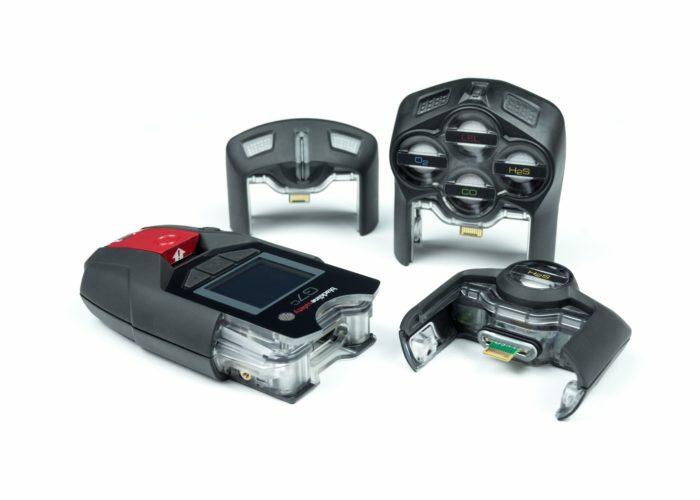 G7 has a range of diffusion cartridges that deliver complete customizability with an exclusive modular design to accommodate diverse gas detection and safety monitoring needs. G7's diffusion cartridges can support one to five gas sensors and are equipped with a lifetime warranty. Each cartridge features Blackline's green connectivity light — when the light is on, workers can be assured that they are connected to the Blackline Safety Network and their safety is being monitored. The connectivity behind G7 means that all devices automatically upload gas readings and usage data to the Blackline Safety Network. For the first time ever, businesses can see exactly where and when employees were exposed to gas, what gases they were exposed to and the duration of the exposure. Instead of manually compiling data to get an idea of teams' activities, G7 automates gas exposures and usage and alerts, delivering more data and insights than ever before. Cartridges are easily and quickly changed out in the field. No matter if you want to equip a G7 wearable with a different gas sensor cartridge or a user encounters a sensor issue or a problem with a cartridge — our plug-and-play cartridges can be replaced in seconds. Device uptime is maximized and maintenance time is minimized, ultimately saving businesses money. Blackline offers cartridge replacements as part of our service plan that covers sensor failures. Our comprehensive service programs include communications, cloud-hosted software, data storage, and access to our Blackline Analytics software. We additionally offer real-time emergency response management, two-way messaging, two-way voice calling (G7c only) and push-to-talk (G7 only) service options.